My little first grade babies worked hard on counting by 10’s today! We have been reading Laura Numeroff books this week .. and we read If You Give A Cat a Cupcake today. So these little cupcakes were just perfect. These cupcakes go from 10-300. We used them in a pocket chart and then used a recording sheet while we worked. I passed out the cupcake cards to my kids and they had to get up and put them in the pocket chart as we counted by 10’s to 300. We sat on our mat and used clipboards to complete our papers. It was a fun activity that kept them engaged. You can download the cupcake cards and the recording sheet below. If you download my products I would love for you to leave a comment! I would also love for you to add my blog link or button to your blog! 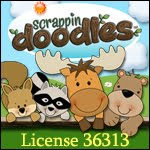 Those adorable cupcake graphics are from Scrappin Doodle! Love this! It makes my day when you post your activities! You're so creative...thank you for sharing your fabulous ideas!!! These are perfect! We're doing some skip counting activities tomorrow. Thank you. "goodies" (pun intended)! Love 'em! LOVE 'em! THanks so much. I am passing on the I Heart Your Blog Award! I also love the color posters of your classroom,could you share with the source please! These are so colorful! Thank you!! Great idea! I bet the kids loved it! Love this! I can't wait to get it created to use with my kiddos! Thanks so much for sharing! I LOVE these cupcakes, the apples, and fish! They are perfect for helping my daughter with skip counting. Thanks for sharing them with us! Thank you for sharing all your hard work. I printed off 8 pages of items for my grandson to work with. Thanks for giving away such high quality printables. My kiddos and I appreciate it! Thank you for being so generous with your talents and your activities. Your blog is an inspiration. God bless you! Thank you so much, my son needs help with this. I love everything you do, thanks for sharing!!! Love these, girl! Thanks for sharing and TPT! I plan to stock up on your goodies! I love them...my daughter's name is Charlie and her two big brothers named her charlie cupcakes when she was born - she is starting kinder next year and i cant wait to use them with her!!! Thanks...will be using this on Monday! Thank you - love this - I will grab your button!! Here is my blog! I love these cupcakes! I'll be using them this week for sure! Thanks for sharing! !Who doesn't love cupcakes and counting!! Cute cupcakes!! Thanks for sharing!! Thanks a lot for theses cupcakes ! My french pupils will love counting thanks to you ! Thank you very much for your great idea! I'm a swiss teacher and your blog is very interesting! Thank you for sharing!! This will be a great addition to my home school activities!! I am using this in a second grade skip-counting lesson plan! Thank you for the great work!